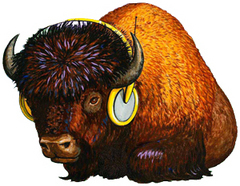 Yellowstone Public Radio consists of seven radio stations and 26 translators in Montana and northern Wyoming. KEMC (Billings), KBMC (Bozeman), KYPF (Standford-Lewistown), KYPW (Wolf Point), KYPR (Miles City), KYPC (Colstrip), and KPRQ (Sheridan, WY) are licensed to Montana State University Billings. The translators are licensed to Montana State University Billings and many other entities in the region such as counties, cities, community colleges, translator associations, etc. Similar to more than 700 other public radio services in America, Yellowstone Public Radio provides a general adult audience with information and cultural heritage programs not otherwise available on radio. These include in-depth news and public affairs, classical music, jazz and blues, folk and bluegrass, as well as spoken arts and humanities programs.